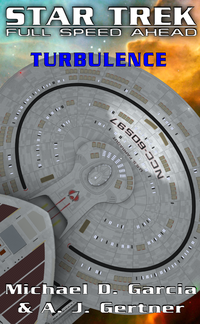 Star Trek: Full Speed Ahead is a short story series centering around the Nebula-class multimission heavy cruiser USS Farragut and the members of her crew. Led by their commanding officer, Captain Krystine Leone, Farragut's ability to take on many types of missions result in a myriad of different adventures, from courier duty to border patrol and everything in between. Stardate 43224.74: Newly-promoted Captain Krystine Leone is appointed to command the recently-refitted Nebula-class starship USS Farragut, after only fifteen years of excellent service to Starfleet. Her arrival at the Antares Ship Yards is met by friends she's made throughout her career, and of course, she is excited by the prospect of her first command. While she enjoys the festivities of assuming command, two strangers work feverishly within the ship's navigational deflector room toward some unknown purpose. As they ready the ship for warp speed trials, the ship finds itself going on a journey deep into the final frontier! 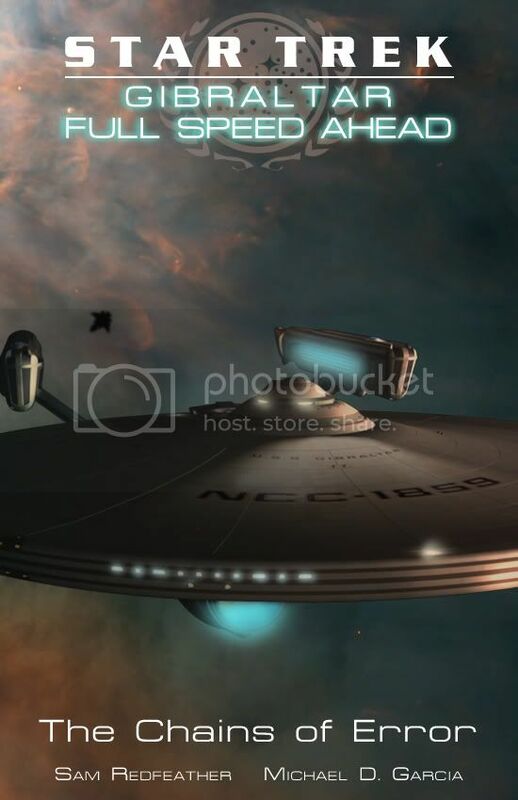 Stardate 43232.5: (continued from Part II) With the Farragut en route to the Tristnor facility, Captain Leone and her crew, along with the Kasui batallion aboard, meet heavy resistance in their attempt to steal the Alpha device and make it possible for them to return to Federation space. A fierce battle ensues and the know-how of the skeleton crew works to gain the upper hand in the struggle! Meanwhile, Wilson tries to come to terms with the knowledge that their return to the Federation means he must say goodbye to his friends aboard ship, and Greg weathers pressure from the captain to seek the promotion he's been avoiding for the past four years. Stardate 43239.47: Following the return of the Farragut from deep within the Beta Quadrant, Starfleet Command assigns an investigator from the Inspector General's office to determine whether charges should be brought against Captain Leone for her actions during that time. Due to the investigation, Rear Admiral T'Cirya pulls the ship from border duty as it was originally intended. Meanwhile, the missing members of the crew board Farragut from Starbase 310, including Commander Jesse Kincaid, the new executive officer. Stardate 43242: (continued from the previous episode) With the destruction of the freighter Shoeless Joe, Captian Leone orders the halt of the convoy begun in "Milk Run" to investigate the cause of the event without placing the other freighters at risk. No signs of attack or other subterfuge leave the crew with a mystery to solve at the same time enduring the constant interrogations of Commander Hargreaves, who is hell-bent on proving the guilt of Captain Leone in order to bring her up on charges of gross violations of regulations. Stardate 43243.1: (continued from the previous episode) The missing Ensign O'Day has Farragut along with two other Starfleet vessels conducting a wide search and rescue, with his best friend Lieutenant (jg) Greg Aspinall leading the charge. As time wears on and the chance of finding him alive dwindles due to the limits of the ensign's EVA capacity, Greg risks as much as he can to find his friend, even in the face of orders from Captain Leone. Stardate 43322: Kincaid is identified as the likely father of a child recently orphaned on Starbase 214. When the tests come back showing a relation that no one anticipated, Kincaid is forced to confront his past and make decisions about his future. Meanwhile, Farragut takes on a new crewmember and Wilson begins to deal with some of the personal fallout his ascension to Chief of Security has caused. Stardate 43409.1: Farragut's operations and security division must work together to track down a series of reported thefts aboard ship that prove to have few leads. Meanwhile, Commander Kincaid takes over the monthly Captain's Mast proceedings to deal with the various infractions and violations of discipline aboard ship. Stardate 43505.33: A personal emergency calls Isira home to Betazed, where her younger brother, Goven, a teenager, has been Joined with the symbiont Harli and intends to remain Joined. While she deals with family fallout, including the appearance of big brother Andrus, Abbie teases Kincaid about missing Isira and Victoria realizes she's become very sympathetic to Greg. 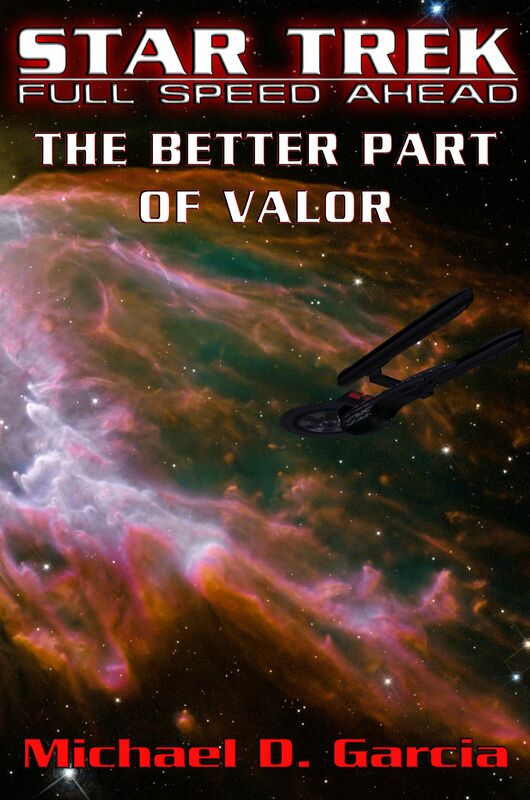 A crossover novel between Star Trek: Gibraltar and Star Trek: Full Speed Ahead! Stardate 54310.98: A very attractive Commander arrives at Starbase 375 near the Cardassian border to assume custody of a very dangerous prisoner... all by herself. They depart together in the runabout Sacramento; sixteen hours into their trip, they come under attack by the Maquis. Stardate 54311.8: The starship USS Gibraltar, while en route to a Federation convoy to the Rudyard Colonies, is diverted by the distress signal of the runabout Sacramento. Upon arrival, they find the runabout destroyed and an encrypted beacon points the way toward an escape pod. Now, Captain Sandhurst and his new executive officer, T'Ser, must deal with the formidable presence of Commander Ariel Elannis, and her prisoner, former Starfleet Captain Sabrina Diaz. 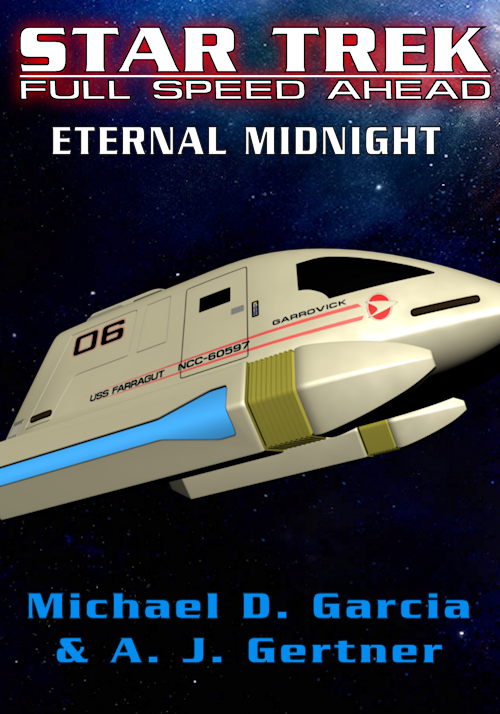 In this story that follows the popular crossover novel between Star Trek: Gibralar and Star Trek: Full Speed Ahead, The Chains of Error, continues with the USS Gallant as it is dispatched on a mission deep within Romulan space! Stardate 54571.54: Nuhir t'Aimne risks everything to rescue her kin from being conscripted into the Rihannsu's most dangerous order, the Tal Priax. Carolyn Kircheis and the crew of Gallant are tasked with breaking into Romulan space and helping her escape with her family before they're discovered and the fragile alliance between the Federation and the Romulans is threatened. 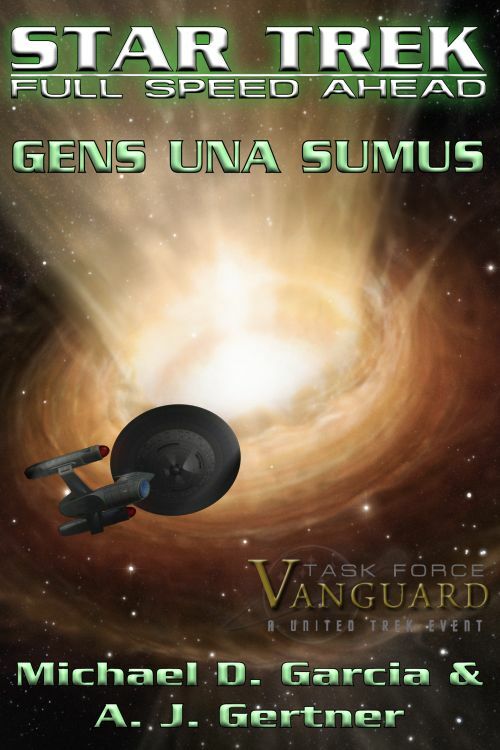 Continuing the saga that began with the popular crossover novel between Star Trek: Gibralar and Star Trek: Full Speed Ahead, The Chains of Error, various Farragut crew are spread out in preparation for Task Force Vanguard! Stardate 54790.64: Immediately following the events of To Triumph and Not to Mourn, Rear Admiral Krystine Leone struggles to get through her grief after the death of her closest friend and confidant, Commander Ariel Elannis, with the help of her former crew and her son, Dominic. But the work of Starfleet doesn't stop for grief. In the post-Dominion War Federation, several member worlds taking on the burden of rebuilding from their massive losses are also fending off the sharp increase of piracy as Starfleet finds it is spread far too thin to keep up its usual pre-war patrols. Among those worlds is Betazed, whose representatives have become vocal and threatening in conference. Starfleet and the Ministry of Defense send Admiral Leone aboard Indefatigable to directly address the defense of Betazed and the surrounding sectors of Federation space. Meanwhile, Dominic deals with the fallout of his actions during his time at Starfleet Academy with the prospect of joining Task Force Vanguard looming over him, removing him from the Alpha Quadrant for the next five years of his career! 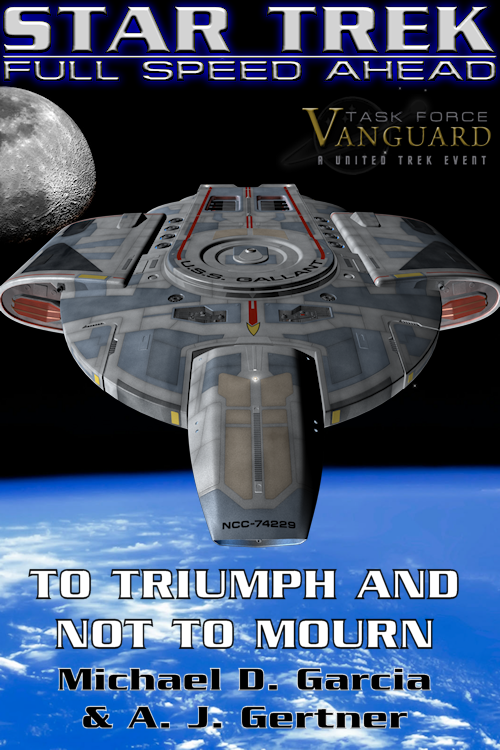 Completing the saga that began with the popular crossover novel between Star Trek: Gibralar and Star Trek: Full Speed Ahead, The Chains of Error, a former Farragut helmsman finds herself tangling with Romulans as part of Task Force Vanguard! 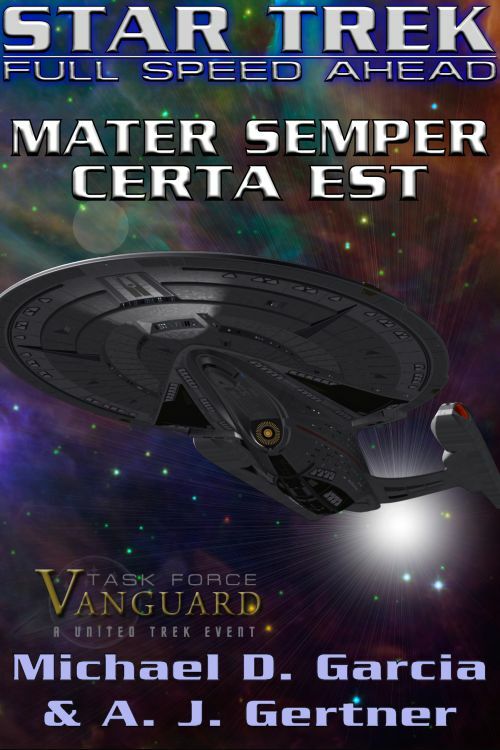 Stardate 55343: Immediately following the events of Mater Semper Certa Est, Commander C. J. Kircheis joins the first wave of Task Force Vanguard under the command of Vice Admiral Edward Jellico, and is assigned as the executive officer of USS Adelphi. With the information presented to her by khre'Arrain t'Aimne about the wormhole leading from Rihannsu space, Adelphi is ordered to investigate the wormhole and its possible usage by the Rihannsu to send ships and scouts into the Delta Quadrant. Meanwhile, on the other side of the wormhole, first officer Taibek tr'Tei of the warbird ChR Kholhnen is part of a highly-classified Tal Shiar-led expedition using the same wormhole. When the three ship flotilla enters the Delta Quadrant, they're met by USS Adelphi in the middle of their mission. though they outnumber the Starfleet vessel three-to-one and enjoy a treaty following their shared victory in the Dominion War, tr'Tei wonders if the Tal Shiar will observe that alliance under the circumstances. 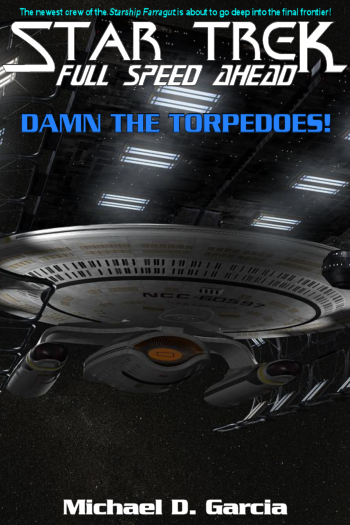 Stardate 38896.89: The Excelsior-class starship USS Potemkin is en route to the Turkana star system; diverted by the distress call of a civilian freighter. Upon arrival, they find that the freighter has already been picked apart and its crew killed. Flittering around their apparent kill are a group of aged former Federation-designed fighters, relics left over from a war fought over a hundred and fifty years ago. Executive Officer Krystine Leone and her close friend Ariel Elannis must assist their commanding officer, T'Cirya, in determining who attacked the freighter and why? Stardate Unknown: Two bounty hunters are tracking down their latest bounty to fulfill their contract. An alternate universe story, outside the established continuity of both Star Trek: Full Speed Ahead and Star Trek: The Quarterdeck Breed.